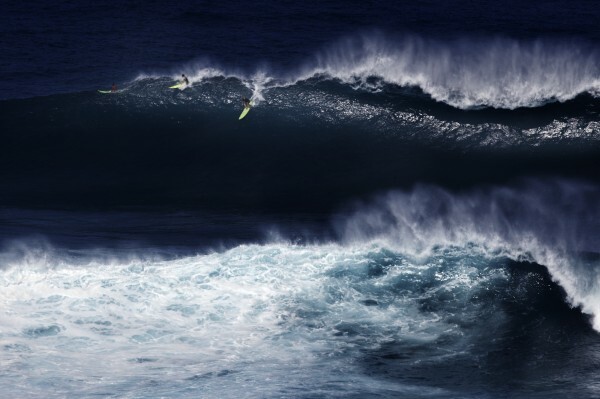 When it comes to living in Hawaii, most things are a little more expensive than the mainland. People think, "I could never afford real estate here, forget it!" Here is your chance. 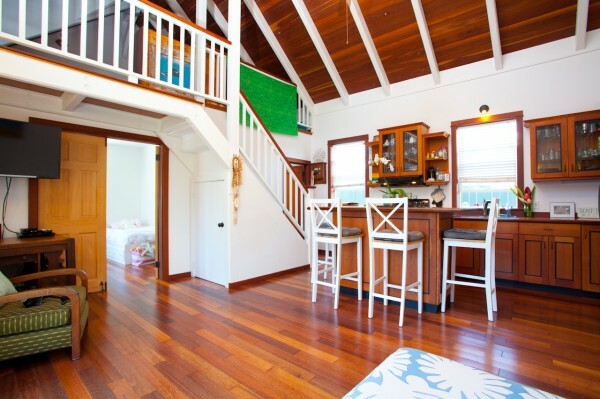 784 Kihau Place offered at $425k is the perfect opportunity to start your life on Maui. 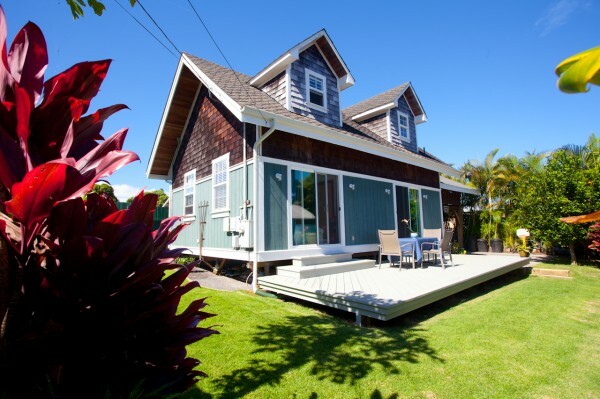 Located on the North Shore, 784 Kihau is centrally located to all things offered, great food, amazing surf, and a great community atmosphere. 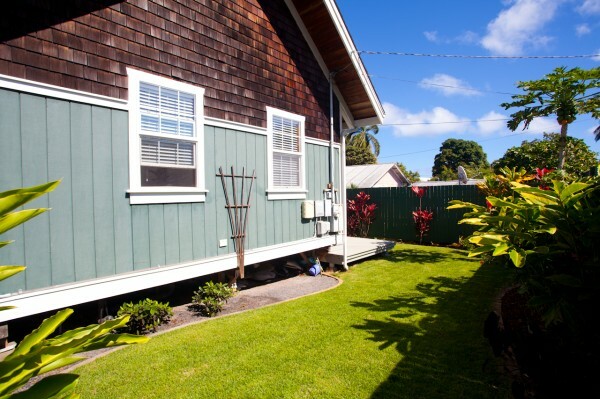 This 1 bed/1bath 600 sqft cottage-style home features custom cabinets, carport, lofted lanai, photovoltaic solar panels, and a nearly 250 sqft interior loft. Use of space was well thought out, with 20 foot ceilings over the living and kitchen areas, feeling claustrophobic is not a worry. My favorite feature are the counters in the kitchen; when the home was built in 2005, the builder used all of the floor and ceiling cut offs, pressed and finished them for a high-end look. The 3,647 sqft CPR'd lot (Click to better understand CPR lots) sits Mauka (mountain side) of the Hana Hwy just enough to feel removed, but close enough for easy access to all nearby amenities. The fully fenced yard hosts several fruit trees along with a professionally manicured lawn. Outdoor living is a must for Maui residents, the recently refinished 250 sqft lanai gives the perfect platform for entertaining or relaxing. 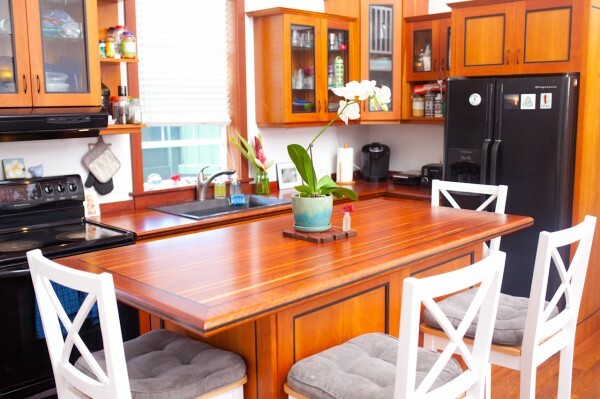 Located blocks from the house is a local hub of businesses called the "Pauwela Cannery," home to surfboard shapers, hardware store, and "Baked on Maui" coffee shop and bakery, you won't go without. If you plan to come and unwind, you have Elite BodyWorks Massage just a phone call away! I live roughly 5 minutes from 784 Kihau, and from a personal point of view, there is not a better spot to get involved with the local community and fulfill your interests/hobbies. Whether you plan to live here full time or purchase a second home, 784 Kihau is a great first step to owning Maui real estate.